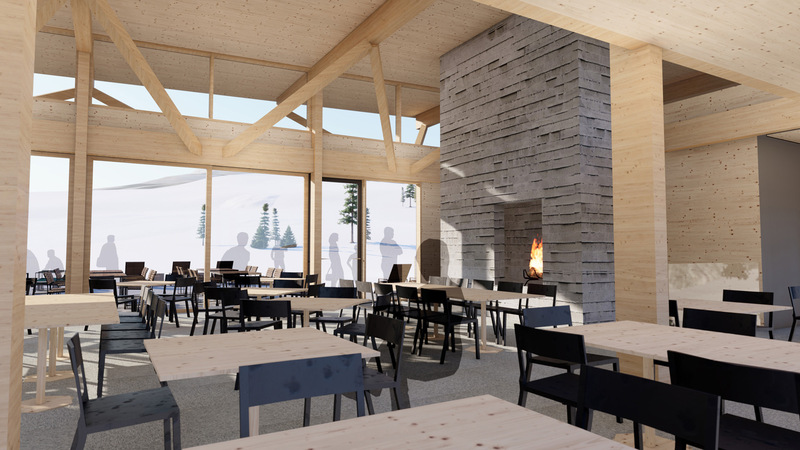 Yellowstone Club’s new on-mountain restaurant, the Eglise Lodge, will serve as the base camp for a 1000-acre ski and summer recreation expansion. 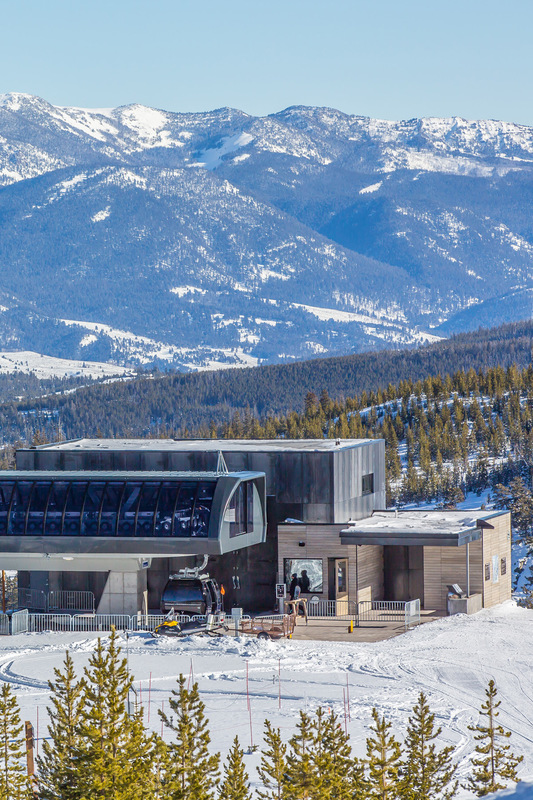 Located atop the club’s first gondola, the mid-mountain location boasts panoramic views of Montana’s Gallatin Mountain Range. 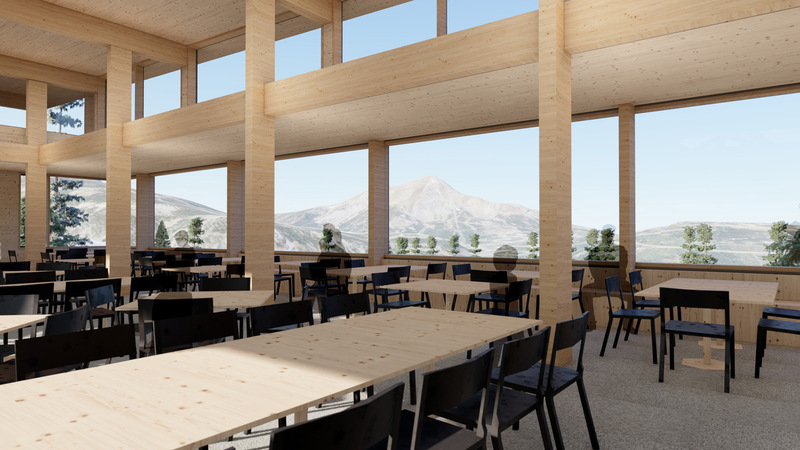 The restaurant features a 150-seat dining room with scramble-style servery, bar, and separate children's dinning area. 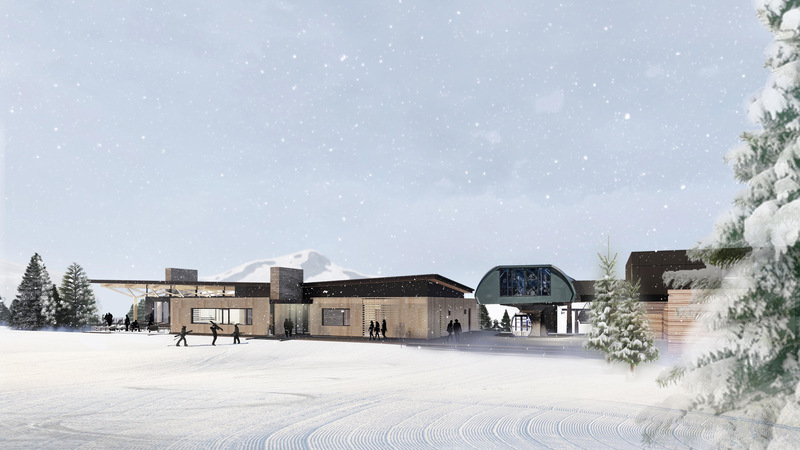 The outdoor terrace to the south connects to sun and skiing while the north side of the building is elevated to capture views. 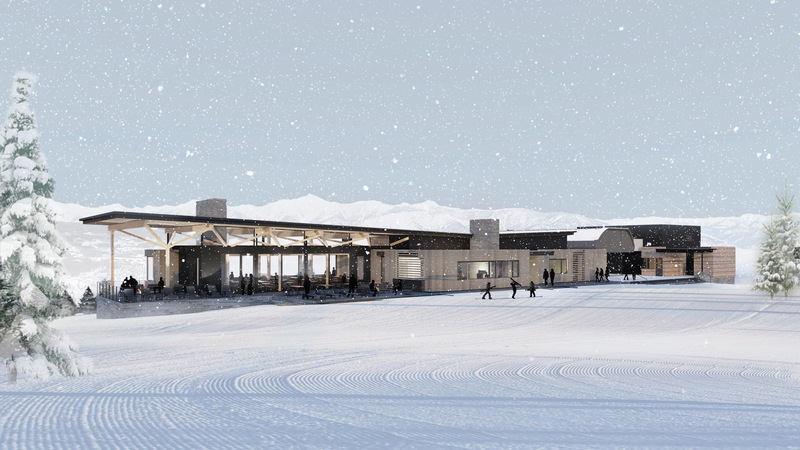 The building’s low sloped shed roofs and simple forms contrast the surrounding vertical landscape while a palette of natural and very textural materials pay tribute to Montana’s building history. 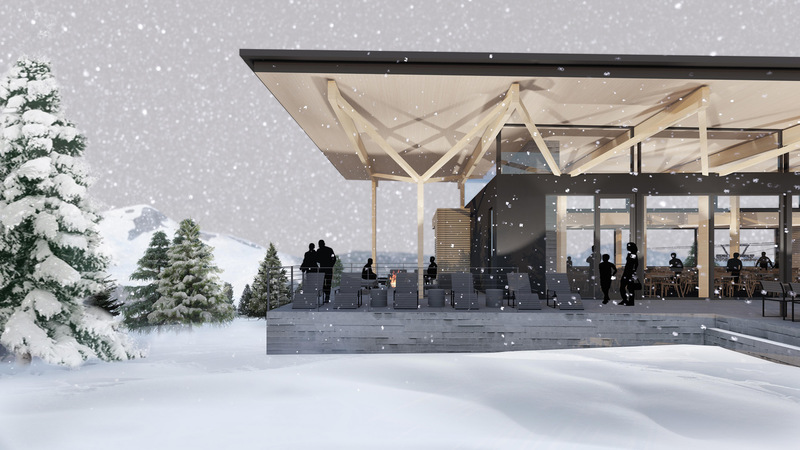 In addition to the future lodge, the first phase of the project that has been completed is a 2600-square-foot Grip Maintenance building. 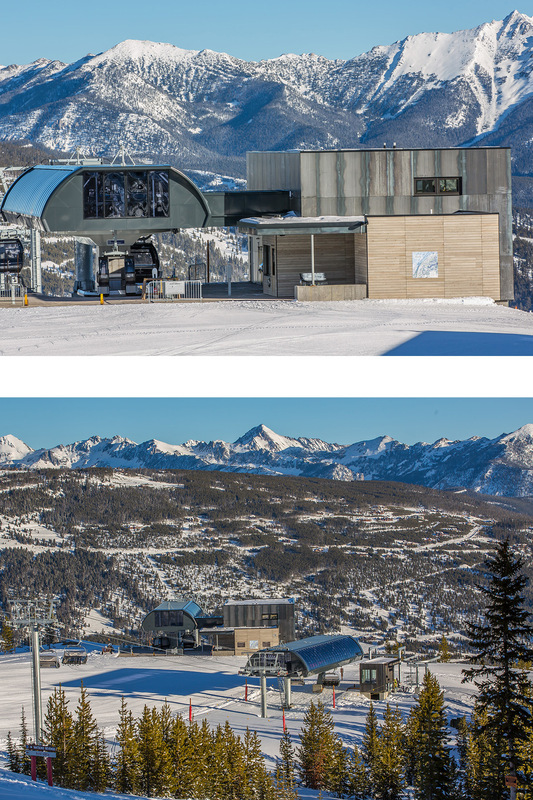 Located on the east side of the gondola platform, this building serves as the maintenance facility for the gondola cabins with some ski operations office space on the lower level.